The cast for FX's Sons of Anarchy spin-off Mayans MC keeps getting bigger and bigger, and now they've finally found their lead actor. 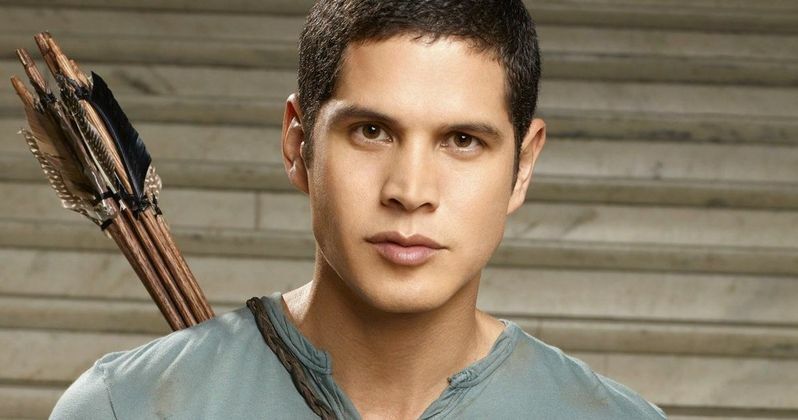 JD Pardo (Revolution) has signed on to star as the series lead EZ Reyes on Mayans MC, which we reported earlier this week will start production next month. With filming slated to begin soon, we'll likely have many more casting announcements coming in the weeks ahead. Deadline broke the casting news earlier today, with JD Pardo joining a cast that includes Edward James Olmos, John Ortiz and Clayton Cardenas. The series centers on JD Pardo's series lead character Ezekiel "EZ" Reyes, a prospect in the Mayan MC charter on the California/Mexico border. EZ is the gifted son of a proud Latino family, whose American dream was snuffed out by cartel violence. EZ tries to balance his quest for revenge, while trying to earn the respect of the many different women he loves. Edward James Olmos is playing EZ Reyes' father Felipe who tries to set his son on a "lawful and righteous path." Clayton Cardenas is playing EZ's brother Angel Reyes, who is a "full patch member" of the Mayans MC Santo Padre chapter and is said to live with the burden of being the "lesser son" in a "proud Mexican family." The most recent addition to the cast, John Ortiz, is playing Esai "Taino" Osorio, the president of the Mayans MC Santo Padre Charter. Esai is described as a "Mexi-Rican" who was born in the Bronx, before being sent to Oakland. There he lived with his cousin, Marcus Alvarez, founder and National President of Mayans MC. He is also described, "as smart as he is deadly," just like his cousin. It hasn't been confirmed if any of the actors who played the Mayans characters on Sons of Anarchy will return, but Emilio Rivera, the actor who played the Northern California Mayans leader Rivera on Sons of Anarchy, teased in November that his character may return for the spin-off. At the time, though, there were rumors that the show was actually set in the 1970s or 1980s when Jax was still a boy, but now we know that isn't the case. Since this spin-off is set after SOA, it's possible that Rivera may make his return, but since this show is set in Southern California, on the Cali-Mexico border, we may not see much of Rivera if he's still running the Northern Cali Mayans. As of now, he hasn't been confirmed to return quite yet. Sons of Anarchy creator Kurt Sutter return with Mayans MC, a drama series for FX that represents the next chapter in the SOA saga. Kurt Sutter co-wrote the pilot script with producing partner Elgin James. Kurt Sutter will direct the pilot episode and serve as Executive Producer, with James serving as Co-Executive Producer. The pilot is being produced by Fox 21 Television Studios and FX Productions, with production scheduled to begin in March. JD Pardo is best known for playing Jason Neville on the NBC series Revolution. More recently, he has starred on The Messengers and East Los High.